The daring couples looking for an adventure during the very first trip of togetherness can avail Lakshadweep Island tour. The smallest union territory in India, Lakshadweep islands comprise the coconut palm covered coral islands perfect for relaxing and snorkeling as well. Dwelled by the colourful coral world, the sea also accommodates vivid marine life. Perfect for those who like to venture into the new marine world together. Upon arrival at Kochi, meet Incredible India tour representative for assisted transfer to the hotel. 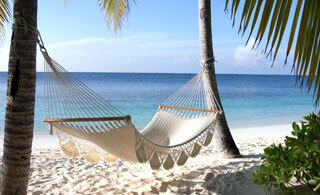 This is one the finest natural harbours in the world and also a prominent entry point for Lakshadweep Island tour. Overnight in Kochi. Morning begin the sightseeing of heritage Kochi with a visit to Dutch Palace, Jewish Synagogue, Chinese fishing nets, etc. Afternoon is free at leisure. Morning check out Kochi and board the flight to Agatti (Lakshadweep). Upon landing here, you and your loved one will be surrounded by azure exotic ocean and experience the exhilarating sense of solitude. Upon arrival at Agatti transfer by boat to Bangaram (1.5 hrs). 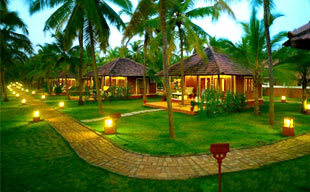 Days are free at leisure to spend in Bangaram, a 128-acre island fringed with coconut palms and an endless sandy beach. The couples can participate in scuba diving, snorkelling, catamaran sailing, deep sea fishing, rafting, swimming, kayaking etc. and make their honeymoon experiences memorable for lifetime. Day at leisure in Kochi. Evening transfer to airport to connect flight for onward destination (hotel checkout 12 hrs).